WE STOCK THE PRODUCT RANGES OF ALL POPULAR MANUFACTURERS. PLEASE CALL 01257 452237 FOR ANY WE DO NOT SPECIFICALLY LIST. 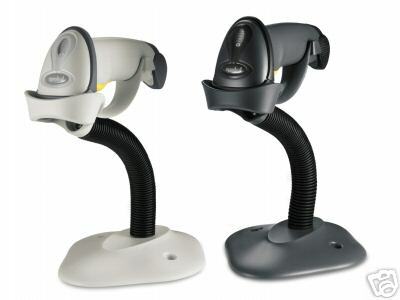 The successor to the MS951, the Voyager again sets a standard in low cost retail scanners. 72 scans per second with a 2 YEAR warranty. 8 inch scanning distance. Can be used on or off the included adjustable hands free stand. Available as triggered (MS9540)or triggerless (MS9520). 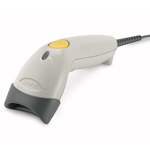 A low cost but fully featured lightweight laser barcode scanner, with the positive read triggered 'codegate' technology of more expensive Metrologic barcode scanners. Ideal for retail and all types of desktop work, 3 year warranty. The successor to the hugely popular LS2106 'Hotshot' and LS1902 'Cobra', the LS2208 is now Symbols' standard in low cost single line lasers. 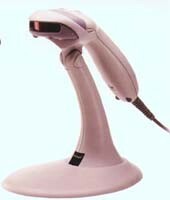 We again include a hands free stand in the price and the usual large choice of interfaces. An affordable price yet still with great performance and a 5 year warranty.